The towns and cities of Italian Northeast have flourished since Roman times, thanks to the merchants, pilgrims and armies that frequented this passage from the seaports of the Mediterranean to the capitals of Northern Europe. Our goal on this tour is to discover some of the most celebrated cultural, artistic and culinary treasures of the region. Enroute, we’ll explore the wetlands of the Po River Delta, tour the lesser-known cities of Ferrara and Mantua, enjoy a visit to Lake Garda and take a wine tour in the hills of Valpolicella. We’ll meet our guides and driver at the Ravenna train station in the morning, and begin our day with a walk through the city’s historic center. From the 6th - 11th centuries, Ravenna, a capital of the late Roman Empire and the seat of one of the Roman fleets, was the most important Byzantine center in Italy. Its economy was based on trade with the East, and local artists and artisans, with the patronage of exigent Byzantine emperors and bishops, produced numerous and varied artistic masterpieces. The ancient walls of Ravenna’s Byzantine churches and baptisteries have been very well preserved, and are considered the richest collection of 5th and 6th century mosaics in the world. During this intriguing day of ‘full immersion’ into the Byzantine culture, we’ll tour the Mausoleum of Galla Placidia, and the basilicas of Sant’Apollinare Nuovo and San Vitale. The basilica of San Vitale houses the 6th-century mosaic of the imperial Byzantine court of Justinian and Theodora. After an excellent lunch, we’ll visit the Neonian and Ariani baptisteries and drive to the elegant basilica of Sant’Apollinare in Classe, located in a beautiful pine forest outside of Ravenna.From there, we’ll move on to Ferrara and our home for the next three nights, a charming hotel in the historic center of the city. Ferrara and the Po River Delta have been named World Heritage sites by the international agency, UNESCO, and we’ll come to see why over the next couple of days. Today, we’ll begin our tour by exploring Ferrara’s marvelously well-preserved historical center, still partly encircled by its medieval walls. From the city’s intact medieval castle, once a property of the Este family, we’ll make our way to the Romanesque Cathedral and the nearby Palazzo dei Diamanti, or “Diamond Palace”, so-called for its external decoration in bugnato (ashlar) style. After a delicious light lunch in the local jazz club, which is housed in a Renaissance tower, we’ll walk through the Jewish Ghetto and tour the Jewish Museum. The 16th century was a golden age for the Jews of Ferrara, as the liberal Este family allowed them to practice a number of professions and participate in the cultural development of the city. Tonight, we’ll enjoy a Ferrarese-style dinner in a local trattoria, sampling such specialties as risotto all'anguilla. Today we’ll return to the coast and the quaint town of Comacchio, known as ‘Little Venice’ because of its system of canals. After strolling through town along these charming waterways, we’ll drive to the nearby Po River Delta Natural Park. We’ll learn about the park’s habitat and its endemic flora and fauna from a park guide, and take a walk through a wetland bird habitat. On our return, we’ll visit one of Northern Italy’s most important abbeys, the Romanesque Pomposa Abbey. This morning we’ll follow the north side of the Po River on tranquil country roads, to the lovely town of Mantua (a UNESCO nominated World Heritage candidate). Situated on the southern side of two natural lakes formed by the Mincio River, Mantua was for many years the capital of a strategically-positioned duchy, ruled by the Gonzaga family, that included the Monferrato region to the west. The Gonzagas’ ducal palace is celebrated by scholars worldwide for its fresco, La Camera degli Sposi (“Bridal Chamber”), painted by Andrea Mantegna. After lunch, which might include Mantua’s renowned tortelli di zucca, we’ll visit Giulio Romano’s masterpiece, the Gonzaga’s Palazzo Tè, with its beautiful gardens in which we’ll take a relaxing stroll. We’ll finish the day with a 40 km drive north towards the great chain of the Western Alps to our lovely hotel in the Valpolicella hills, near Verona. We’ll take a delightful drive this morning over the Adige River and through the Adige Valley, one of the most important routes through the Alps since Roman times. It won’t be long before we’ll reach Lake Garda, one of Northern Italy’s four great glacier-formed lakes. We’ll follow the lake’s southern shore up the peninsula of Sirmione, and then head northeast, to visit a small town most tourists to the area don’t usually see and to have lunch along the lake. In the afternoon, we’ll return to the vineyard-covered hills of Valpolicella for a wine tasting at a premier producer of Amarone, one of the most famous red wines in Italy. This evening we’ll savor aperitifs by the pool before enjoying a wonderful dinner at the hotel’s restaurant. 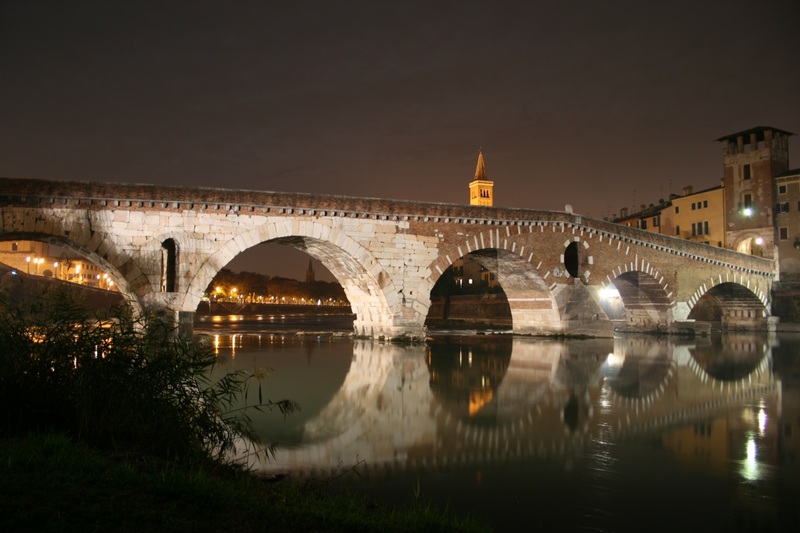 This morning we’ll drive south to Verona – yet another UNESCO World Heritage Center - where we will take a tour given by a local art history expert. The world knows Verona as the setting for the Shakespearean tragedy, Romeo & Juliet, but there is a lot more to this fascinating city. Once a powerful city-state in its own right, it later became one of the Venetian Republic’s most important continental possessions. As we tour the town, we’ll visit splendid Renaissance palaces and gardens, as well as a Roman amphitheater that hosts wonderful opera concerts throughout the summer. Our tour concludes with some time to explore on our own. As always, we’ll be happy to bring you to the Verona train station or local airport, or to your hotel in the city. Group minimum 6, maximum 12; includes accommodations (3-star city hotel in Ferrara, 4-star country hotel in Valpolicella), all cultural visits, transportation, guide and driver costs. 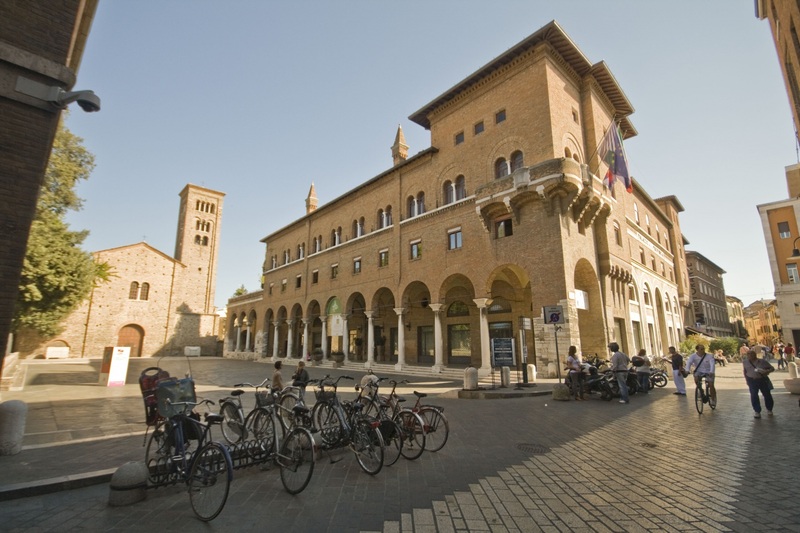 We recommend that guests stay overnight in Ravenna the night before the tour, or take an early train in from Bologna the morning of Day 1. 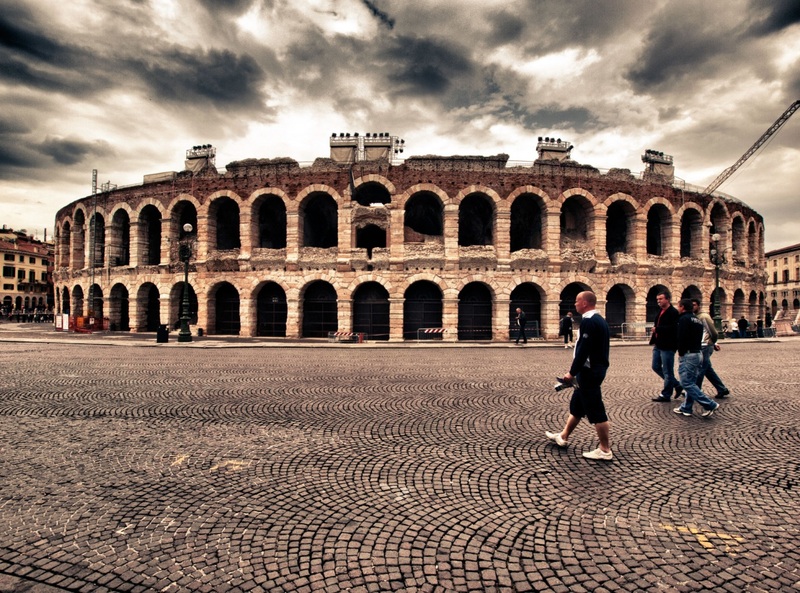 We can reserve opera tickets at Verona’s Arena amphitheater for the night of Day 6, or another evening during your stay in Verona. We can also offer you various special post-trip (or pre-trip) tours of Venice, Padua, the Palladian Villas and Soave wine country. Please contact us for more details.